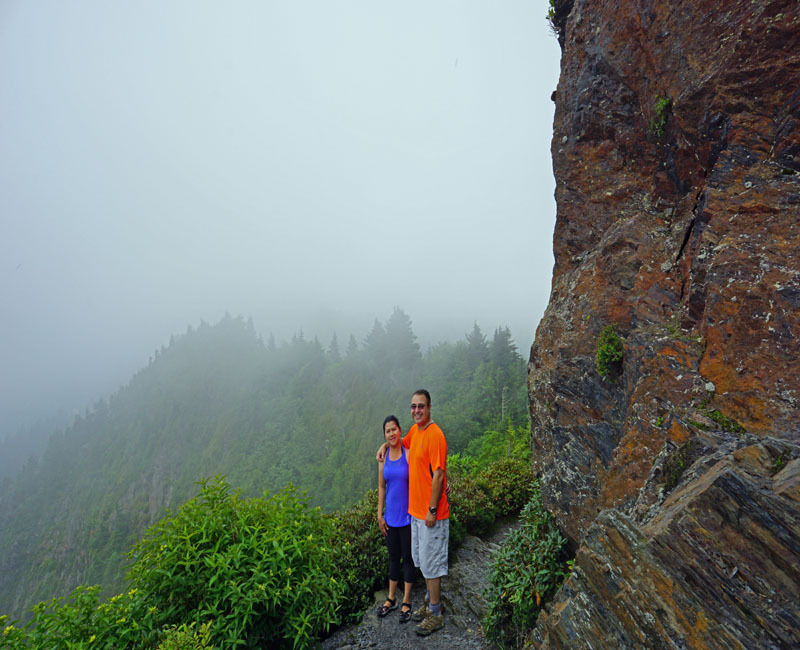 From the popular tourist stop Newfound Gap, Charlie's Bunion is an eight mile round-trip moderate to strenuous hike along the historic Appalachian Trail. The views will take your breath away and the hike is definitely a strong cardio workout. One of the toughest hike we've ever did. Its almost 2.7 miles uphill and 1.3 miles downhill. Hiking path is rocky so be sure to have sturdy hiking shoes. There is no washroom until you get to shelter which is 3 miles away from starting point. There will be two intersection on the way so do check sign board and follow correct trail. It will be better if you start hiking early like 9 am or so. Although it was super smoky that time, we did get to see a little bit of the view and watch the clouds roll over the mountains. 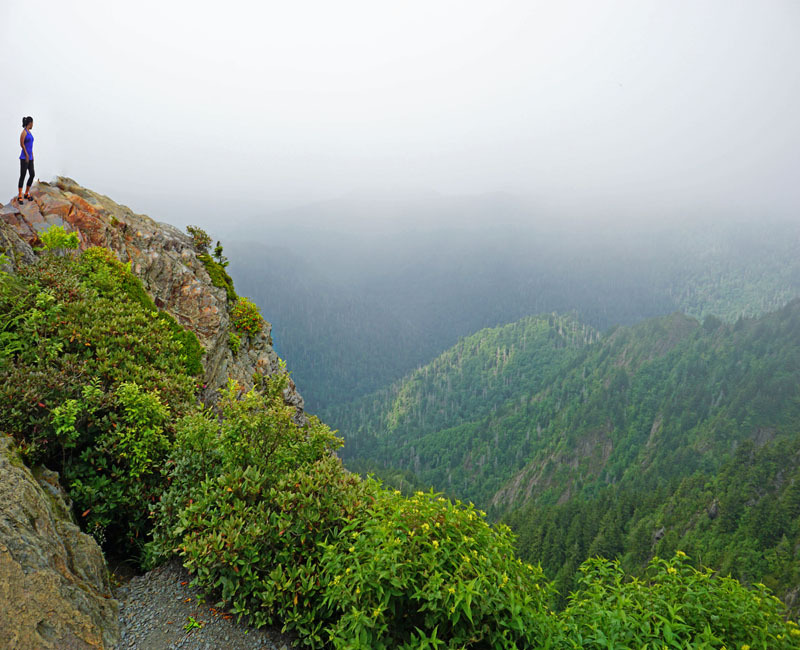 It was foggy as we reached the Bunion. We stay there for an hour and took some photos , then thunder storms rolled in just as quickly. The trail is well-maintained and easy to follow. The park tries to mesmerize the hikers with the beauty of her woodlands. Heading back it started pouring on us on the last two miles down and I can't imagine being at the top when that storm was coming through. We are lucky we have ponchos a good reminder to always be prepared for all types of weather while hiking. I highly recommend this hike to people who like a challenge. The views are great once you get to the top and the trail gives you a great workout. Hope you enjoy this hiking trail, feel free to share it and don't forget to follow us for more adventures. I would like to challenge myself with this hike! The views are amazing and I know it would definitely be a challenge for me on the uphill part of the hike. Wow! A lot of times when we hike I challenge myself to overcome the hardships and the fear of height. And I can say I do better every day. That looks like an amazing hike. I love nice hikes like this where I get rewarded with a gorgeous view. I am 100% agree the hikes can be overwhelming sometimes but when you see arrived to your destination it even worth it! WOW, so pretty and I wish we had areas like that here for my son and I to hike up although my knees might not let me get to far. 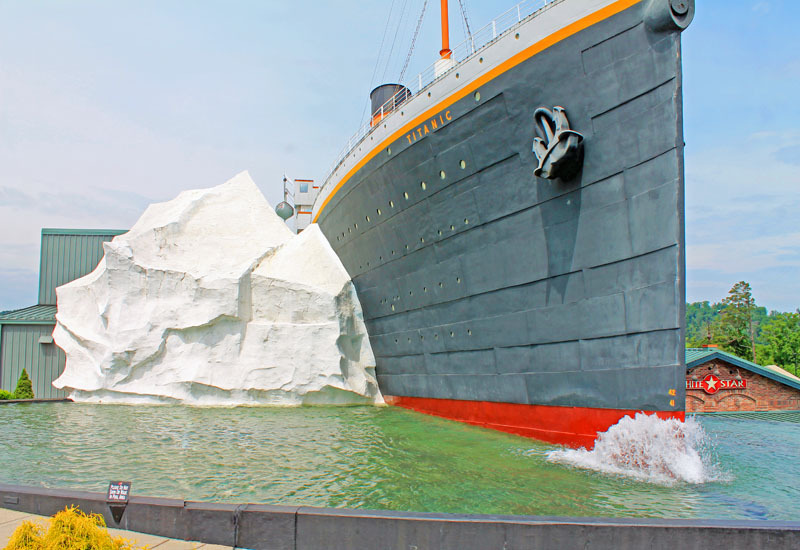 I could see my son at the top of the attraction. We were so lucky that we live in a place that has so much to offer from nature tripping , family adventures and no fee entrance national park. Wow what a view!!!! I have always wanted to go to visit the Smoky Mountains! I could never do this, so I am grateful that you posted your experience! It is beautiful there. The name made me giggle. I know right!? the name not only catch but funny too. Oh my gosh that is absolutely beautiful! I know some hikes can be extremely tough but they usually have such a huge payout. Hike like this is totally worth it. I would love to do it. That true this is one is a perfect example. I admit I like the challenges but this trail tested my patient to the highest level. But then again when you see this views and the workout you put in the best feeling you can get. We had a great trip to the Smoky Mountains a few years ago. My youngest wasn't born yet so I'd love to go back and let her see the sights. You should go back again I recommend the fall season it so pretty here! We have never been to the Smokey Mountains before. What a beautiful hike you went on. Would love to see one day, really enjoyed the photos. Thank you, every one should visit Smokies at least ones you and your family will surely have a great time here. Hiking is really relaxing and it's a great exercise especially if you have someone who shares the same interest in hiking. I think this place is really beautiful! Exactly I had fun going on a hike because my SO shares the same passion as I'm. We do hike very often when its warmer as our weekend work out and unwind. That view is breathtaking.I have never seen anything like it. My kids would love to take a hike like this, especially my daughter. She likes to explore whenever she can. I have never really done any crazy trails or climbed a mountain before but you did amazing! That view is totally worth it! Wow!!!! Those views look stunning! You're like my shero. Cant believe you guys hiked that far up. We're glad we inspire you through this post. I drove through the Smoky mountains last year and I wish I had taken the time o get out of the car and explore! Your photos are gorgeous! I hope you will be bale to visit again. 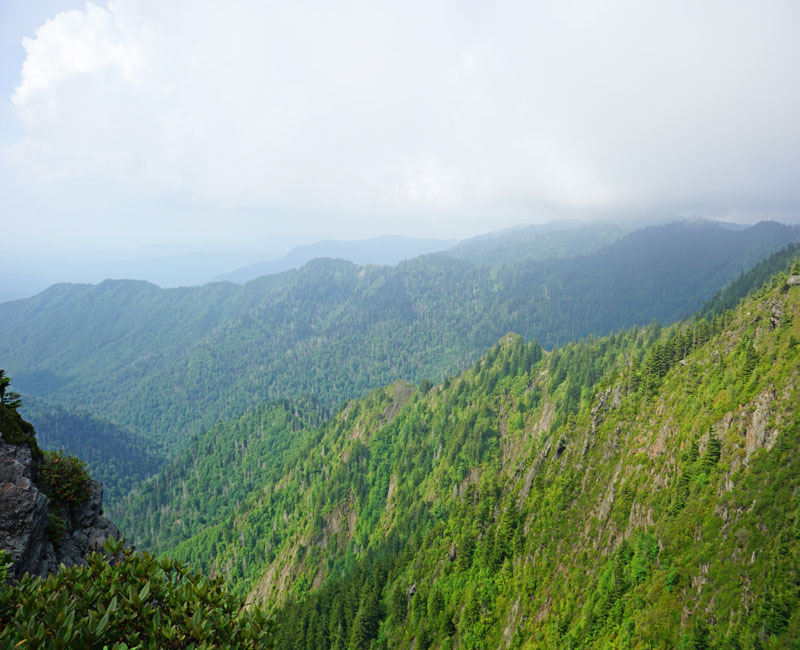 Smokies is a paradise for nature lover. Wow! What an awesome view! It was really worth the hike! I wish I could also visit that gorgeous peak in the future! Definitely one for the books! Those views are absolutely stunning! I would love to go there. Not sure if my asthma would allow me to get to the top, but at least I can live through your photos! 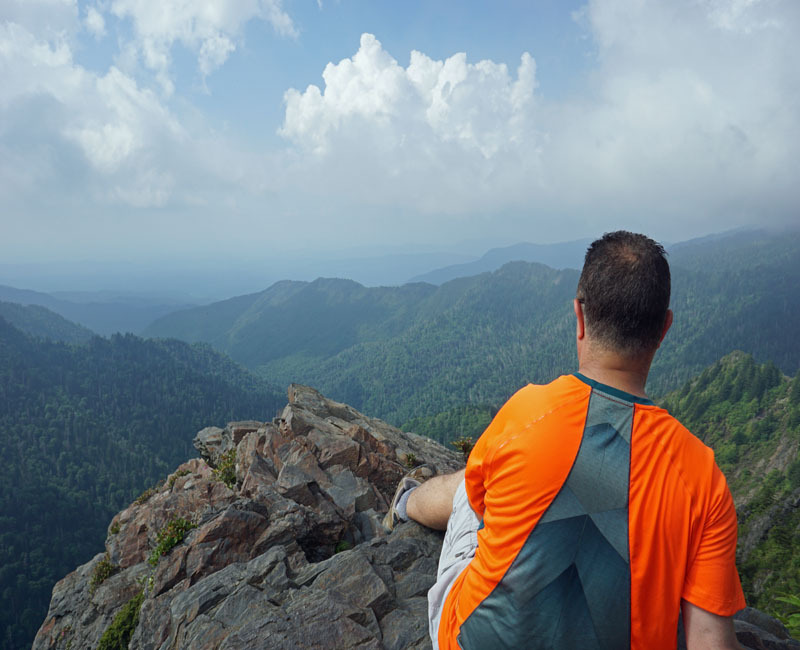 The good thing about Smokies they have plenty of easy and difficult hike to choose from. So every one will be able to have a chnace to enjoy the mountain. I am in awe with the beautiful view sis. I wish we would have chosen to stay in the cabin instead of hotels. Next time, we will do that. Thank you sis there's plenty of adventure to choose from . Hopefully soon you and your family will be able to come and visit again. 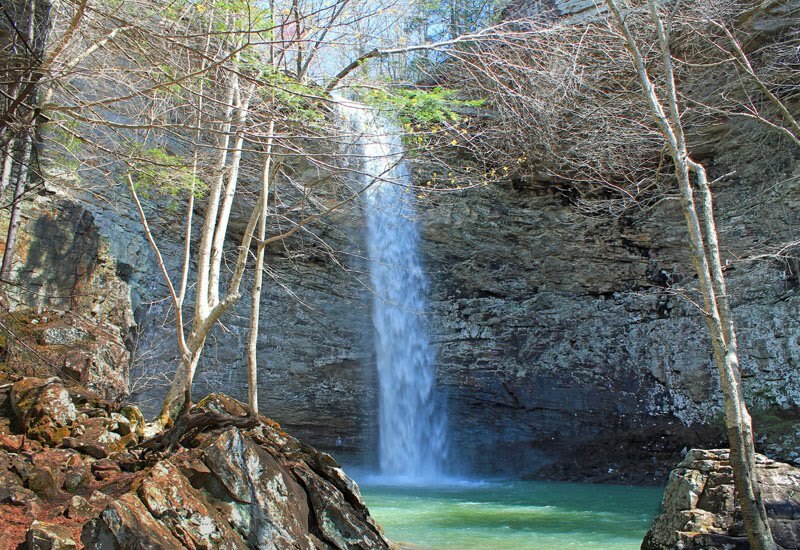 A hike that's totally worth it! I love the view from the top and it tops all the challenges that you went through during the climb. Very challenging but fulfilling all at the same time. 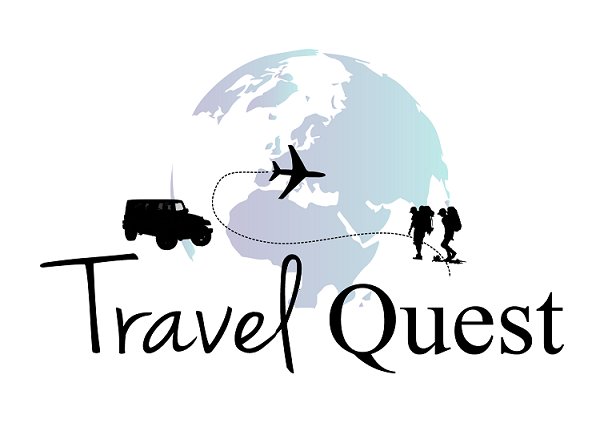 It would be great to experience this hiking adventure. The picture came out amazing too. This is a beautiful spot! I cannot wait to visit Tennessee someday! Wow this looks like an amazing place to get to go and explore! Those views are just absolutely breathtaking to look at even in photograph. We've been trying to make an effort to hike more in our family. This isn't too far from us, so this would be a wonderful weekend trip. Thank you for sharing your experience. This is an amazing hike! Glad to see the storm didn't totally wipe you out! The views up there are really stunning. I wish I could take up a challenge such as this. It would have been a great experience. What an amazing view! I can't imagine what it would be like during a storm, but I'm glad you guys only had to deal with a bit of the weather. I've never been to the Smoky Mountains before, but that looks like a gorgeous hike. A great way to meditate and enjoy Mother Nature! Smoky's was our weekend get away when we lived in Nashville. Enjoyed seeing your pictures, definitely nostalgic. Seems like you had a fun time. This is absolutely breath taking! 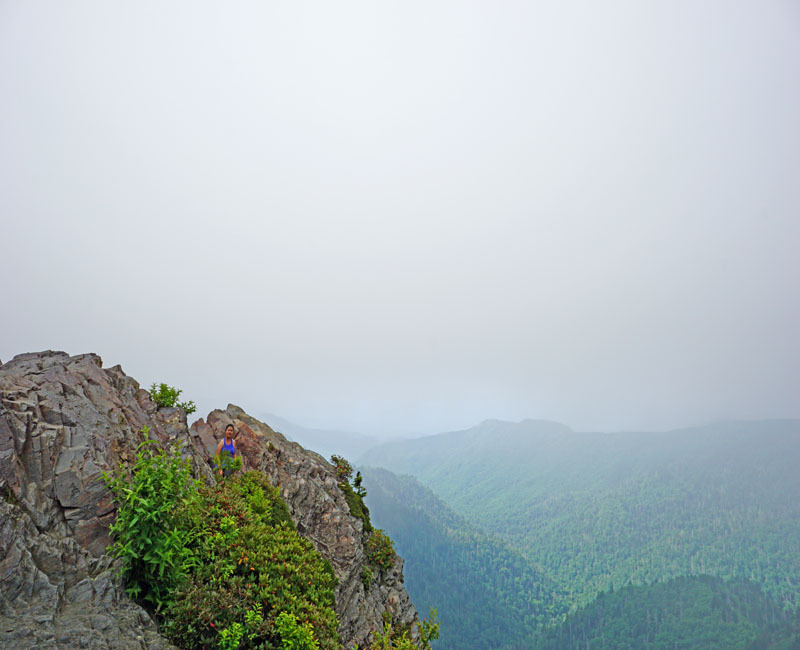 I would love to hike the Smoky Mountains one day!